For Chicago beer nerds (at least those who haven’t written off Goose Island as corporate beer), Black Friday brings the annual release of Bourbon County Brand Stout. Die-hard fans will brave the elements and their turkey hangovers to stand in line outside of Binny’s Beverage. The goal: to get their hands on a prepackaged case of all eight of this year’s blends (12 total bottles). Of course, not everyone wants to spend their Black Friday budget on what is likely to be nearly $300 worth of beer. 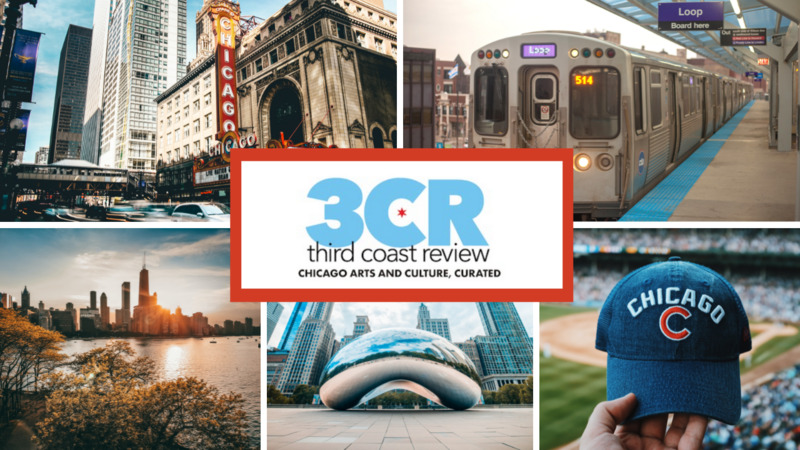 For those looking to prioritize by splitting the Binny’s package among friends or searching for the odd bottle, Third Coast Review has a rundown of which to grab while you can, and which to try before you buy. Bourbon County Brand Wheatwine is notable for its restraint, and I appreciate Goose Island’s ability to innovate without getting too weird. The two-row malted barley and malted wheat were boiled until reddish brown, then aged in Heaven Hill and Buffalo Trace barrels. Despite clocking in at over 15% abv. (all of this year’s beers are in that ballpark), it’s a smooth and subtle beer. Great as it is as a standalone beverage, it’s also the only blend from this year’s release that I’d consider pairing with food. In addition to raising the alcohol content , this year’s version of the original BCBS leans more into fudginess than last year’s; I’m eager to try it in a side-by-side with the 2017 BCBS. While the other beers are fun and adventurous, the original remains excellent. As I noted in my sneak peek, the Reserve BCBS has the same base beer as the BCBS, but the award-winning Elijah Craig barrels impart a distinct flavor profile. Love big, boozy, bourbon flavor? This one’s for you. It’s worth your time, even if just for a side-by-side comparison with the BCBS. The first of the extract beers, the Midnight Orange combines orange and cocoa nibs to replicate the flavor of a chocolate and orange holiday candy. Orange flavors in beer are nothing new; it’s long been a staple of American wheat ales like Blue Moon and Oberon. The orange flavor in those beers is secondary, though, with the primer of an orange garnish helping to guide your senses. The orange flavor is impossible to miss in the Midnight Orange. The resulting flavor mix of chocolate and orange is nothing if not interesting – I myself like it, albeit probably not for more than a glass. The Coffee Barleywine is another case of effectiveness in restraint. I found last year’s coffee stout to be a bit too much for my taste – it was to other coffee beers what espresso is to normal coffee. While this year’s blend still has a lot of coffee flavor, its balance in the Barleywine is more nuanced. All of the Bourbon County beers have a story, but this one involved the most toil. Goose Island’s brewers went so far as to visit the farm in Guatemala where Intelligentsia sourced the beans, and tested the beer on the hour to make sure they struck the balance correctly. I suggest buying and seeing for yourself if they struck that balance. All of the extract beers incorporate flavors that are already present in the original BCBS. This year’s Proprietor’s goes hard and fast after cocoa flavor. The resulting beer is very chocolate-forward, and definitely leans into the recent trend toward dessert beers. The chocolate flavor is so powerful that I found the mouthfeel reminded me of melted chocolate, but that could be the chocolate flavors playing tricks on me. My favorite part of barrel-aged beers is the way that big, bold, boozy beers can still balance bitterness and sweetness. This beer leans so hard into the latter that it’s not for me, but I’d encourage those who like pastry stouts to seek it out. The Vanilla Stout picks up where the Proprietor’s leaves off – with a big, bold, flavorful punch in the mouth. Vanilla flavors are part of what makes bourbon barrel-aged beers (as opposed to those aged in other barrels) so wonderful. In the BCBS, vanilla shares the spotlight with chocolate and coffee as natural parts of the beer’s flavor profile. The Vanilla Stout brings that flavor to the forefront – the full vanilla beans smell like a better version of vanilla extract. Perhaps best served with chocolate cake for balance, although pastry stout fans may enjoy it on its own. This one is the biggest, boldest, and weirdest of this year’s beers. To paraphrase Goose’s brewers, this is their attempt at the beer of a medieval king. If that’s the case, then I definitely have more of a 21st century palate. While Goose Island took care not to over-fruit the beer, the strong berry flavor was overwhelming for my taste. For those adventurous souls looking for something different, though, this is your beer. If you made it down this far you must’ve liked what you’ve seen. If you did, consider donating to our Patreon. Your donations enable us to continue to provide this type of content and more. Check out our Patreon page and thank you for your support!